Last week we looked at how to remove mold from your boat. This is the most obvious and crucial step towards being mold free for boat season (if you missed it, you can read it right here). This week we are switching to prevention mode, and we have a list of tips to help you prevent mold infestations from coming back to help save you from the endless cycle of mold clean up each spring. 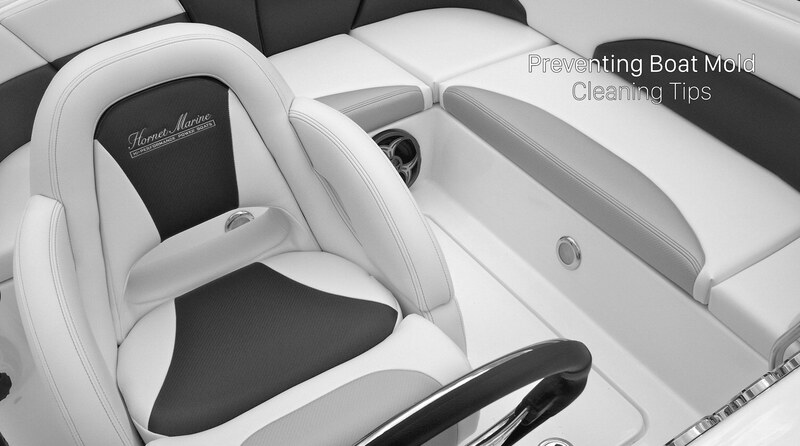 To prevent mold and mildew, you need to ensure that your boat is well ventilated. This can be as easy as opening hatches or portholes to create cross ventilation. But for times when you are away, you will need to rely on either active or passive ventilators to keep the moisture level down. Passive ventilators, such as cowl vents, clamshell vents, louvered vents, ventilating sails, ports and hatches provide an access path for air to enter or leave the interior of the boat. As long as either the boat or the air itself are moving, they work just fine. Active ventilators, such as Nicro’s Day/Night Plus Solar Vents incorporate a fan to keep air moving even when the boat or breeze is still. Solar energy or ship’s power is used to power the fan, depending on the ventilator. These vents come with both intake and exhaust fan blades for flexibility in creating your ventilation system. When you are away from your boat, it is a good idea to leave the doors to hanging lockers and other enclosed spaces open to allow air to circulate and reduce moisture. This includes the spaces underneath your boat’s cushions, which can be left turned on their sides with the access covers to hull areas underneath removed. Star brite, DampRid, and MaryKate all offer systems that employ calcium chloride crystals to remove moisture from the air. In some cases, the moisture gets deposited into a reservoir, as with DampRid’s Easy-Fill Moisture Absorber or the No Damp Ultra Dome by Star brite. These systems are effective, but are prone to spillage unless emptied on time. A better choice for hanging lockers and areas underneath settees and berthing areas are DampRid’s Moisture Absorbing Sachets or MaryKate’s Moisture Control Bag, both of which retain the condensed water in a bag or pouch. Many boats are equipped with a propane or diesel cabin heater or stove. Unfortunately, these appliances can increase cabin humidity, because the principal by-products of combustion are carbon monoxide and water, some of which, in the case of most heaters and nearly all stoves ends up in the cabin, where the water will tend to condense against cool interior surfaces—which can result in the formation of mold and mildew. To prevent this, when using a propane or diesel cabin heater or stove, open your boat’s hatch to let the combustion gasses escape, which is something you should do anyway to limit the possibility of carbon monoxide poisoning. At the dock, evaporating moisture with an electric cabin heater is a good way to keep surfaces dry. For engine and mechanical spaces there are engine room heaters as well. When you are absent from your boat, low-level heating devices, such as the West Marine Air Dryer and the Goldenrod Dehumidifier are a great way to chase the damp away.